Stacey is a psychologist with experience in assisting adults and young people adjust to stressful life events such as grief, relationship distress, and workplace or financial difficulty; as well as treat longstanding symptoms of anxiety or low mood. Recently, Stacey has focused on providing therapy to sexually diverse clients in hospital and non-government settings, who are often experiencing ongoing stress following past trauma, and difficulties with drug use. In addition, Stacey has undertaken clinical research studies on bipolar disorder and depression, personality styles, social anxiety, and alcohol use disorders. 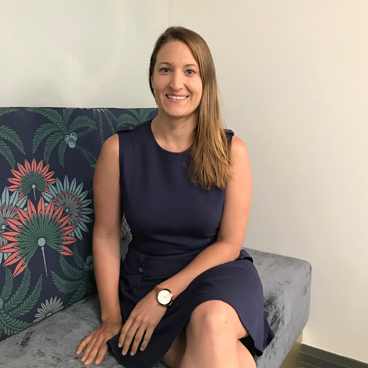 Stacey completed her Honours degree in Psychology at UNSW in 2006 and holds a Masters degree in Clinical Psychology from Macquarie University. She is a registered psychologist with the Psychology Board of Australia and is a member of the Australian Clinical Psychology Association. Stacey has been trained in several evidence-based therapeutic approaches, including cognitive-behaviour therapy, dialectical behaviour therapy, schema therapy and acceptance and commitment therapy, and takes a flexible approach to treatment, based on the needs and preferences of the individual.